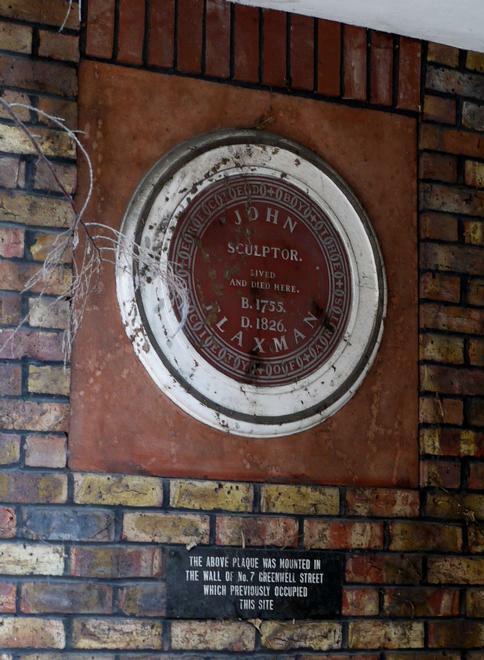 John, sculptor, lived and died here, B. 1755, D. 1826, Flaxman. The above plaque was mounted in the wall of no. 7 Greenwell Street which previously occupied this site. Born in York. Neo-classical sculptor.